A very powerful bow. Can only be fully drawn while stationary. Keep still for bonus damage and speed. Used for ninjas and ninjas only. This silent beast is enough to kill a player with a coffee can helmet, with a headshot. The side-effect of the Compound Bow, is that it takes some time to charge and whilst charging, you can't move, or it'll drain the charge. 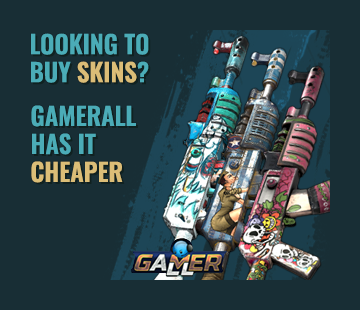 Therefore it is most effectively used, by camouflaging yourself among the bushes and trees on the Rust island. Range of this weapon is more than great at keeping your enemy confused while you execute the holy rain of death. HV arrow will as always damage less, but will hit your target 3x times as fast as the standard arrow. Did you hear me talk about the rain of death before. Well imagine that, but instead used with fire arrows. Absolute madness, if your looking for traumatizing nakeds out there. Alternative use of the compound bow, is to use it as a first-hitter. Meaning you begin by shooting your target with the compound bow and finish them off with whatever secondary weapon you have. Compound Bow + Nail Gun, Compound Bow + Shotgun, Compound Bow + Custom SMG- basically any close-quarter quick finishers there are. It's takes practicing and time to master, but will definitely be worth it. Now ride off archers! You got an adventure waiting out there for you! The compound bow is an early game boltie of sorts, hitting people from 250 meters with High Velocity Arrow is easy once you’ve practiced a bit. You can destroy geared players with it, if you can land the headshot Wooden Arrow or Fire Arrow. Hitting a Coffee Can Helmet with a normal arrow will bring them down from 100hp all the way down to 3hp with 10+ bleeding. 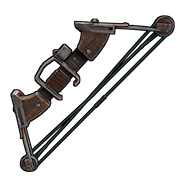 In order for the compound bow to be an effective weapon you must maintain stealth, and if you are caught in the open at close range with the only compound bow then your best option is to run. It’s a good idea to carry a secondary weapon such as the Nailgun in order to finish off enemies that survived a bodyshot. It’s very useful as a first hitter when holding an angle, especially if you geth the headshot. One last thing, make sure you have cover that you can crouch an and out of if in a non stealth scenario. Do not use the Hunting Bow as a finisher at close quarters the draw time is too high to be a follow up weapon. Crossbow is acceptable as a secondary with the compound. Stay frosty and go headshot some coffee cans.